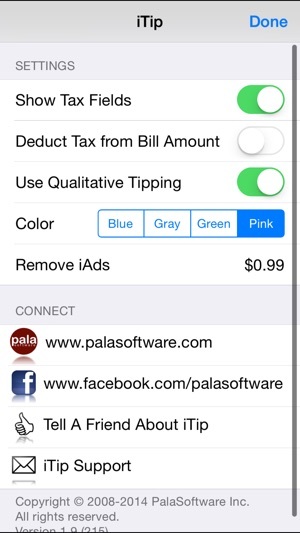 iTip is the perfect tipping calculator for your iPhone. 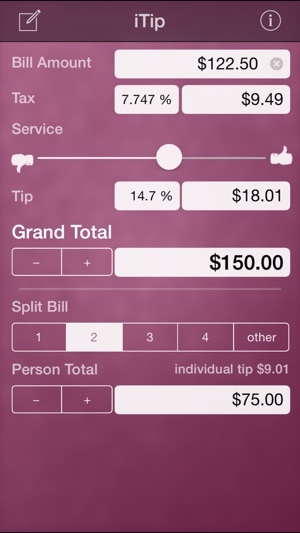 With just a few taps you can easily determine the tip to leave your server. Easily round your tips up or down to the nearest dollar. iTip will even split your bill making it very simple to figure out what each person in your party owes. 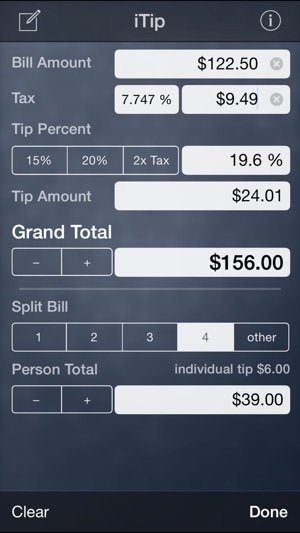 iTip allows you to calculate tips based on a percentage or the quality of service and will even allow for the exclusion of tax. 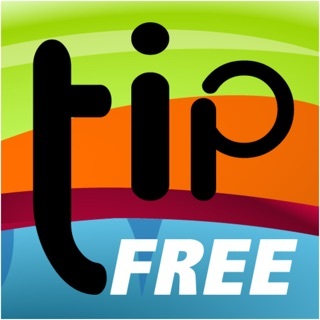 iTip will provide you with the perfect tip every time. iTip is fully VoiceOver accessible. • Creates summary a report that can be shared. It should be easier to use. Information entered keeps coming back when you try to enter new amount. Very hard to move the bar to change the percentage. Otherwise it would be perfect. Hope that changes occur. Takes all the questions out of tipping. Especially helpful when splitting the check with others. 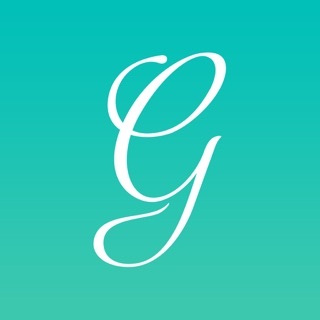 I use this app every time I go out to dinner and I have recommended this app to just about everyone I know. It’s a pleasure to use and user friendly. Copyright © 2008-17 palasoftware Inc. All rights reserved. 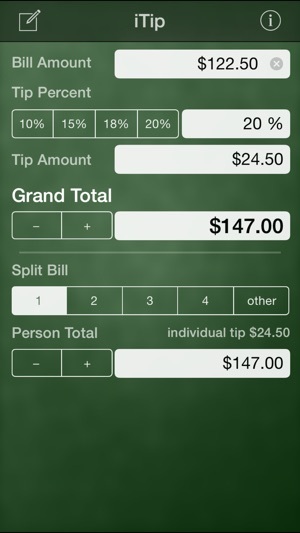 2Tip, Tip Calculator, Gratuity Calculator, Free!